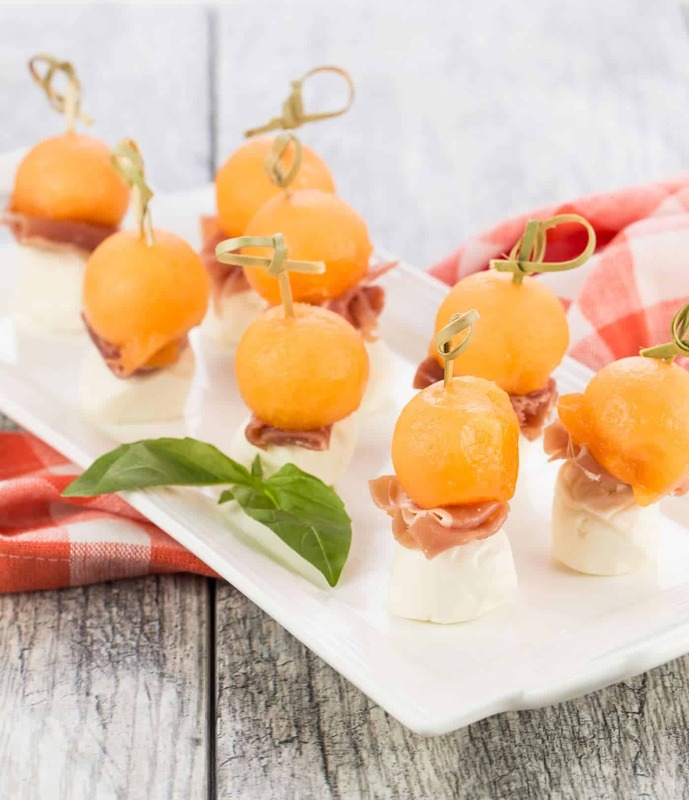 Sweet and salty, these Prosciutto and Melon Skewers are an easy last minute appetizer that will look gorgeous on the buffet table! Our new favorite spring appetizer has arrived, and it’s going to be your new party staple. Appetizers don’t get much easier than these Prosciutto and Melon Skewers, but just because something is simple to prepare doesn’t mean it’s simple in taste. These salty and sweet bite sized goodies hit every part of the taste buds and basically create a party in your mouth. Do yourself a favor and file these Prosciutto and Melon Skewers away for that time you need to bring a snack to share and you don’t have much time on your hands. Or save them for a time when you want to bring an appetizer that is light and fresh. They are perfect for brunch when you want something oh so pretty. Or you can just make them because you’re hungry, and they look so good. Because these Prosciutto and Melon Skewers check all of those boxes and then some. Now the key to making these super simple to assemble is starting with the right tools. You need a melon baller and some cute skewers. Once you have those, the hard work is done. 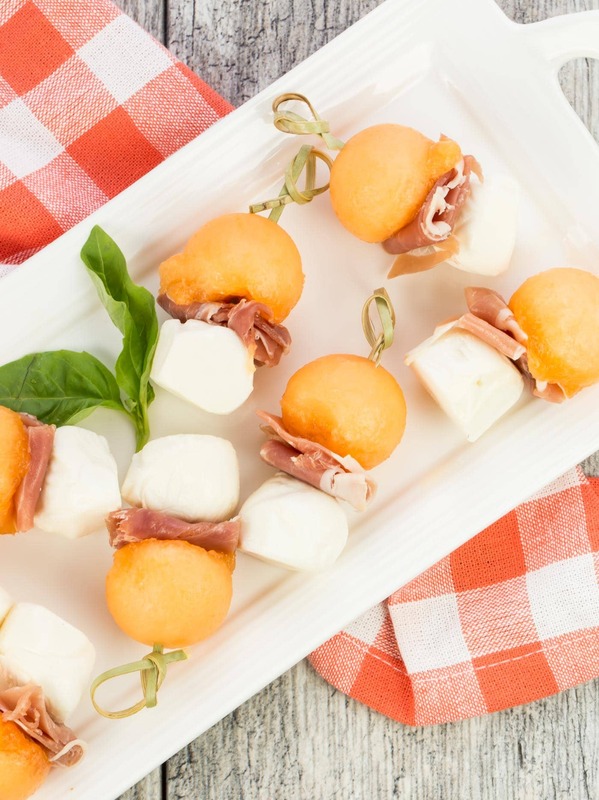 Place the melon ball on the skewer, add your prosciutto and finish with fresh mozzarella. And that’s it. Done. Don’t worry about how easy they are because when you have something that good and that pretty, who cares? Tip: If you want a little extra tang, drizzle some balsamic vinegar on top and add some fresh basil. Are you following us on Pinterest? We’ve got a whole board filled with easy appetizers for parties! Follow Garnish with Lemon’s board Easy Appetizer Recipes for Parties on Pinterest. Arguably the best sweet and salty combo I’ve tasted!